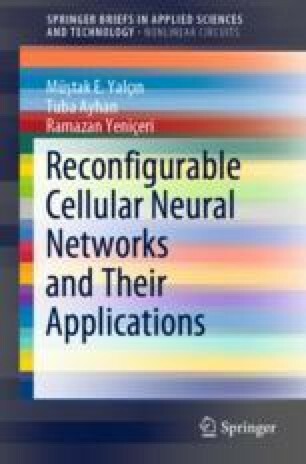 This chapter presents designs and implementations of cellular nonlinear network accelerators on field programmable gate array. A digital circuit architecture is introduced to handle computationally intensive active waves generation on locally coupled oscillatory network. This architecture is also implemented on FPGA and applied to the motion planning problem. Furthermore, in order to speed up real-time response of artificial olfaction systems, a system-on-chip architecture which is including reconfigurable cellular neural network as a feature extractor is presented.